RLC 14 is the second of the Alphonsus sequence; it is filled by the crater, and corresponds more or less to the exhibited photograph from Ranger IX (see item 40). 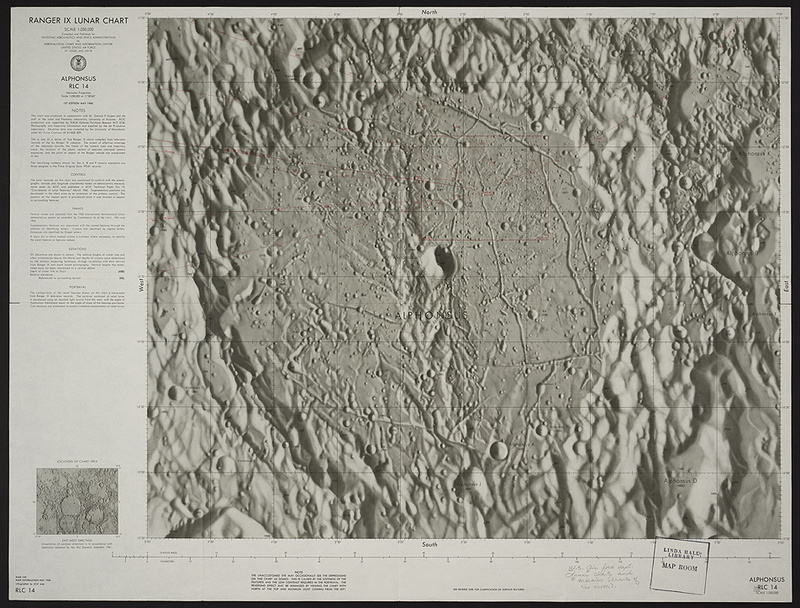 The impact point is indicated on the upper right floor of the crater; the small box indicates the area covered by the next chart, RLC 15. Other lines indicate the trajectory of Ranger IX and the tracks of the six camera axes.